This bed is everything you need if you are waiting for your second child and living in a small apartment. It is a perfect spot for two preschool aged children. 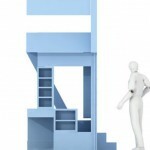 French h2o Architects agency designed this bed for a private client who was waiting for the second child. The name of the project is Eva’s Bed. 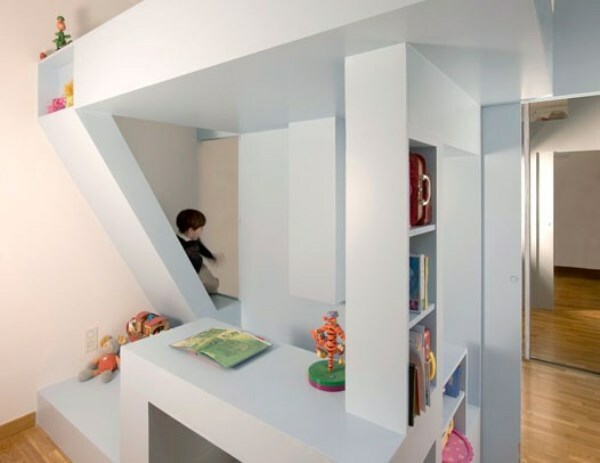 It was constructed to separate two bedrooms and allow each child have a bit of privacy. 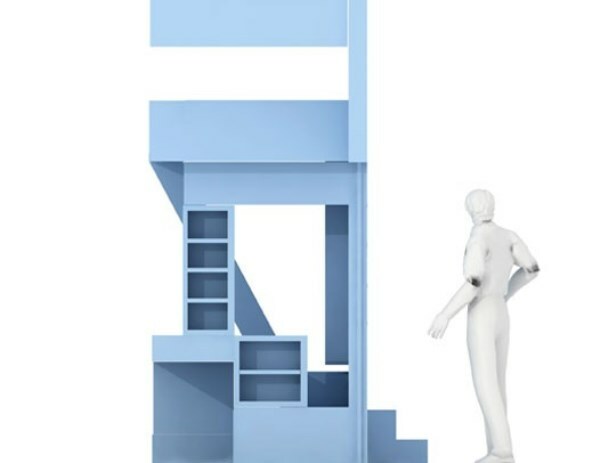 This is a two-floor furniture piece, which has a wall that divides space in two parts one for each kid. 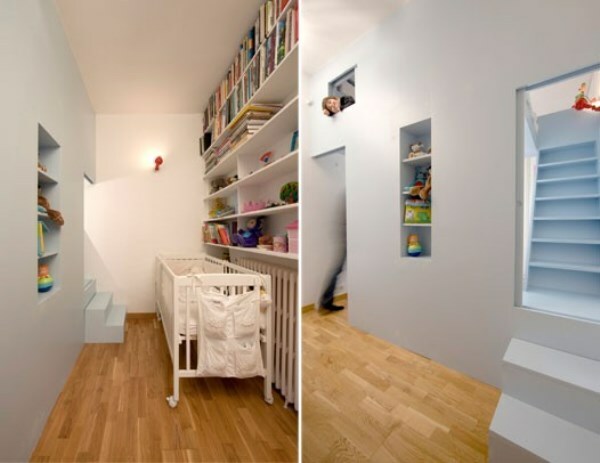 This “wall” includes a bed, a desk and a number of playful pathways. 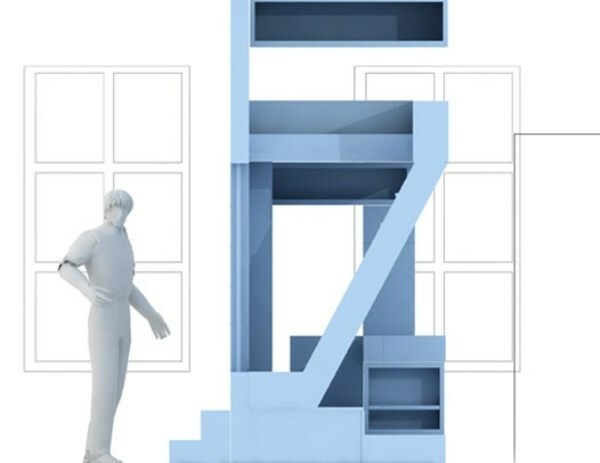 The second part is meant for a smaller child and has a place for a bed. Both parts have shelves for books and toys. 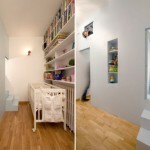 Also there are a lot of hidden private areas, walkways and loopholes that makes children’s games more playful and fun. In this playground they can discover some new games all the time. 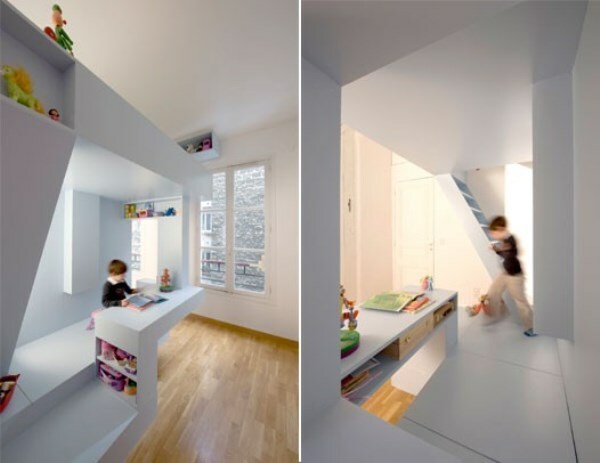 Some parents complained that it has a lot of acute angles and looks a little like an office but still you can use the idea that is truly awesome as an architecture solution. 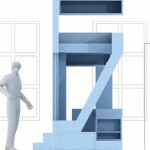 You can upgrade this furniture, for example, by adding soft sheathing. h2o Architects works at the crossroad between architectural and urban creation, restoration of historic monuments and building conversions. The agency likes to think that the solution that is adopted in the end becomes almost “obvious”, even when it has been the fruit of a number of discussions between the different members of the agency and with the client. They said: “In all our projects, we are of course very sensitive to major issues such as the environment and sustainable development, issues which we constantly seek to integrate in our creative thinking process”.